A £7.5 million regeneration of Millfield and New England is included in Peterborough City Council’s latest budget proposals. The money will be spent on public realm improvements and investment in community buildings and open spaces, according to the council’s budget report. The neighbourhoods are part of the ‘Operation CAN-do’ area, one of the most deprived parts of Peterborough. Operation CAN-do was set up in 2011 to address issues of crime, poverty and fly-tipping while promoting community spirit. Brian Gascoyne, chairman of the The Millfield and New England Regeneration Partnership (MANERP), said: “Of course I would welcome any improvement in the Millfield and New England area as long as the money’s spent wisely. 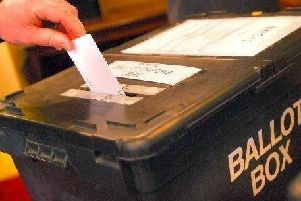 The budget proposals will be voted on by all councillors in March. A council spokesman said: “If investment is approved we would want to work with the community to make sure this investment has its greatest benefit. “Over the next two years it’s proposed to make an investment of £3 million in street scene and public realm. That could include things like street furniture and shop fronts. The capital investment will see £21,000 of borrowing costs in 2017-18, rising to £338,000 in 2020/21. The CAN-do area will also benefit from other budget announcements which include patrols in the area from a private security enforcement who will fine people guilty of environmental crimes such as fly-tipping and graffiti. More money has also been allocated for street cleaning in the area. In addition, the council last year announced a £15 million investment to buy land and property in nearby North Westgate to kickstart the much needed regeneration of the site.